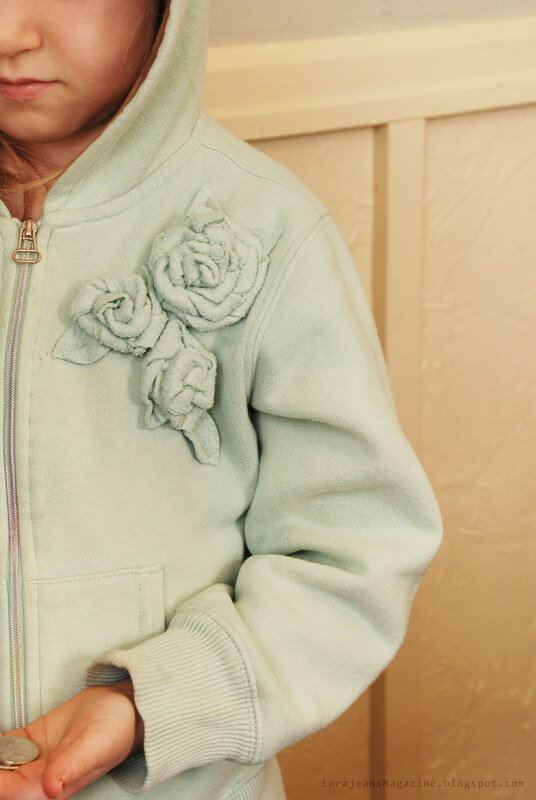 To make the rosettes on this hoodie I used the same technique as I did on my cardigan. The sweater was a hand-me-down from cousins an it came with a matching skirt. I cut up the skirt to make the rosettes. 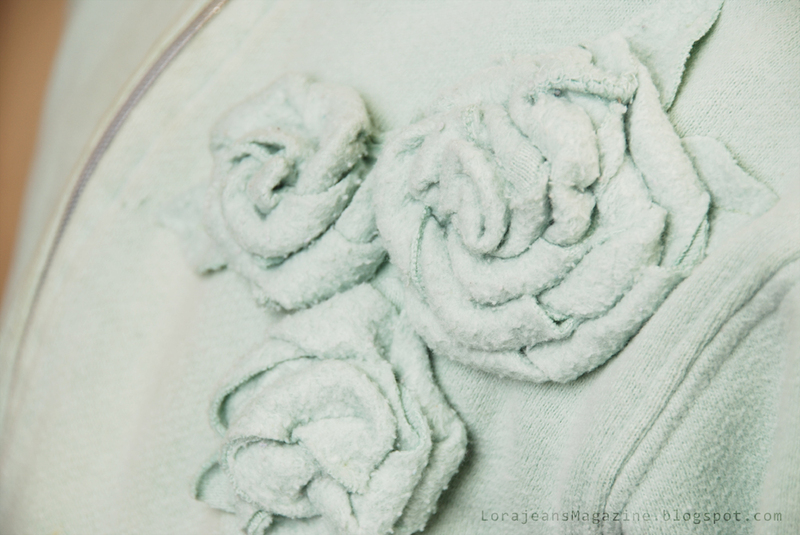 I also used the sewing machine to sew leaves on before attaching the roses. Holy Moly Lorajean, I love your blog. You guys have done so much with your house. It is beautiful. Thanks for being so creative. Wow too adorable I am glad you came up with something cute I never liked that ansemble when my girls wore it! Hurray for you it is much cuter now!!! !